Elfland is the first book published in the United States by British author Freda Warrington, who has written nineteen fantasy novels total. This book is the first of the Aetherial Tale novels, which is not exactly a series but rather a collection of books that take place in the same setting. A second Aetherial Tale novel, Midsummer Night, will be released on November 23. Warrington is currently working on a third related novel, The Grail of the Summer Stars. Some of the ancient race of Aetherials live among the humans and have adapted to appear human themselves while others still remain in the Otherworld from which they came. The Vaethyr, Aetherials living on Earth, remain connected to the Otherworld through a lychgate that always remains open, and every seven years there is a celebration in which the Aetherials enter the Otherworld through the Great Gates. However, the Gatekeeper, Lawrence Wilder, has become so fearful of a dangerous presence he senses in the Otherworld that he closes the gates completely. This does not go over particularly well with the other Aetherials, who demand he do his job as Gatekeeper and open the gates, but Lawrence insists he is doing his job – protecting the Aetherials from harm. Either way, they are in trouble since they cannot thrive without the energy from their home. Unfortunately for the young Aetherials, this also means missing out on an important rite of passage. Once they reach sixteen, the teens get to visit the Otherworld for the first time and experience it firsthand. Instead they are left to wonder about this other realm, caught between feeling not quite human but not quite Aetherial. While some dream of the Otherworld and dedicate themselves to somehow breaching the gates, others try to ignore their origins as much as possible. Yet when denying this other nature leads to disaster, embracing the Aetheric side may be the only way to prevent even worse consequences. The Gatekeeper. The movie version always screws up something from the book. 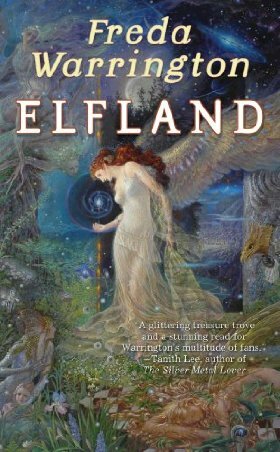 Elfland is contemporary fantasy, but it’s not the common fast-paced urban fantasy featuring a tough, smart-mouthed woman. It’s mainly a character-driven novel about the lives of the Fox and Wilder children as they grow up and come to a better understanding of what it means to be a part of the ancient Aetherial race. After a couple of brief prologues, it begins with the first meeting between the Fox and Wilder children and follows them through early adulthood. In many ways, they seem like typical humans as they deal with love and pain, but they also have this dual nature of seeming human but not really being able to experience what it is to be Aetherial. Normally they would learn all about their heritage at sixteen, but with the Gatekeeper’s insistence that the gates remain closed, this other realm becomes shrouded in mystery. The story of these two families is heavily dramatic. At first, the Foxes appear to be the perfect family while the Wilders seem very dysfunctional – Lawrence Wilder is thought to be insane, his wife left when the boys were young and Sam Wilder is a teenage delinquent. Yet it turns out both families have their secrets, and people from either are capable of making poor decisions with disastrous consequences. The pages are filled with unconventional relationships, unrequited love, jealous rages, and affairs. For a while, it seemed as though every chapter ended on this big melodramatic note, but it was riveting for one reason: I’d really come to care about these characters and I felt like I (mostly) understood where they were coming from. While the story switches perspectives a few times, it is mainly about Rosie Fox and her relationships – with her brothers Matthew and Lucas; Jon Wilder, whom she loved more than anything even though he didn’t notice she existed; Sam Wilder, who adored Rosie; and to a lesser extent her best friend Faith, whose part I can’t really talk about without getting into spoilers. Rosie is compassionate with a penchant for growing things and a love of gardening, probably due to her family’s affinity with earth. Every time she was hurt or chose a course that wasn’t right for her, my heart broke right along with hers. Yet even when she did make a decision that you realized may not be right for her, it was understandable – she was trying to do what her head thought was right but her heart had a hard time following. In the end, I think this novel was largely about following your instincts and being true to yourself. Also, it dealt with the fact that you can’t always judge someone based on who they appear to be on the surface. It was also partially a love story with a fantastic romance – heart-wrenching at times but so satisfying at other times. The other characters were just as lovable as Rosie, at least by the end even if not initially. Her brother Matthew tried so hard to deny his Aetherial side while her good-natured brother Lucas and aloof Jon Wilder tried so hard to embrace it. Sam was labeled a trouble-maker, but he also didn’t really seem a bad guy other than when he was very young. They were all three dimensional and the best part is they all changed throughout the course of the novel. No one was quite the same person by the end as they were in the beginning or middle of the book. There were tragedies, but those involved ended up stronger for them (although most of these tragic circumstances were fixed a little too easily – I was happy with how they were resolved, but at the same time, I felt like it lessened the impact they could have had a little). “First there was the Cauldron, the void at the beginning and end of time. As if the void brooded on its own emptiness, a spark appeared like a thought in the blackness. That spark was the Source. For the first time or the ten millionth time — we can never know — the Source exploded in an outrush of starfire. “As the star-streams cooled they divided and took on qualities each according to its own nature: stone and wind, fire and water and ether. From those primal energies, all worlds were formed. Elfland had compelling characters, some beautiful prose and a fascinating world. 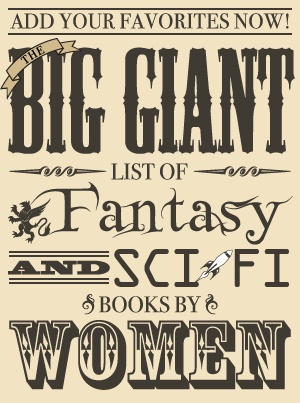 The fantasy aspect of the story does mostly take a backseat to the characters and their dramas, but their story made this book nearly impossible to put down – even if it did sometimes verge toward a little too much melodrama. It was one of those books that immediately gripped me and never let go until it was finished. It kept me up reading later than I should be and kept returning to my thoughts when I wasn’t reading it, and I will definitely be reading more by Freda Warrington.